Since 1979 we’ve been family owned and operated with a staff of ASE Senior Master certified technicians with over 200 years of combined automotive and body repair experience. We pride ourselves in providing quality automotive and body repair at a fair price, and treat all our customers with the same fairness and respect would give our own family. Leon’s and J & L is a complete service repair facility servicing all makes and models including Diesel, Hybrid and Classics. 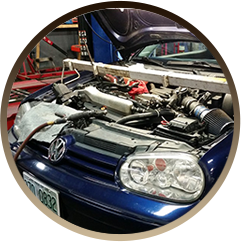 Some of our standard mechanical services include state inspections, alignments, oil changes, fluid flushes, HVAC, engine and transmission diagnostics, repairs and more. 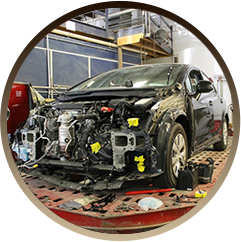 Our body shop is a complete repair facility from minor dings and scratches to major repairs including frame straightening. Come in and experience why we are voted number one in Monadnock Shopper and Keene Sentinel Reader Choice Awards for Auto Service, Auto Body, Used Car Sales and Towing again and again! Our shop is equipped with the latest in Auto Care Technology. This allows us to provide a wide variety of services including lube/oil/filter changes, safety inspections, brake/exhaust systems, A/C and heating systems, alignments, tire service, engine and transmission repairs and replacements, auto body repairs, auto sales, towing/roadside assistance, etc. Our auto body center offers the latest state of the art equipment to perform minor repairs, paint jobs, major collision reconstruction, and more. Our experienced I-CAR (Inter-Industry Conference on Auto Collision Repair) certified estimators will work directly with your insurance company on your behalf to insure that repairs are approved and completed in a timely manner. 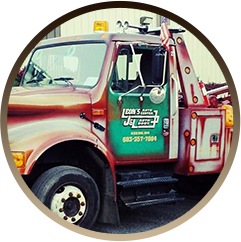 24-hour/7-day towing and emergency roadside assistance. We also provide mobile battery testing and replacement. (603) 357-7004 to schedule a test drive today! Selling your vehicle? We can help. 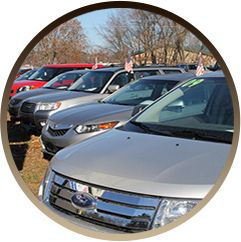 Our consignment program is easy and gets your car sold. 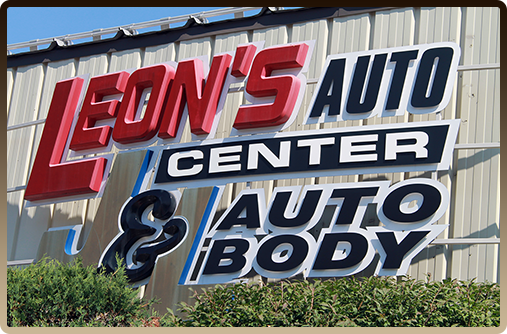 Leon's Auto Center helped us out tremendously, and was invaluable all throughout the process. We had a blown air compressor, which stranded us, and they towed us to their shop and got us back on the road quickly. When we continued to have issues with the part (we live many hours from them, so all this was by phone), the garage smoothly re-diagnosed and reimbursed us for the part and some of the labor. 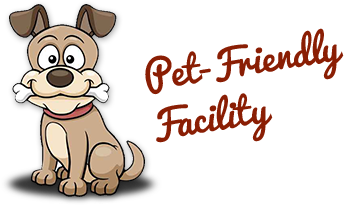 Throughout the whole process we never felt like we were being upsold, found the customer service and technicians to be honest and clear, and were impressed with how they handled the faulty issue after the fact. Absolutely recommend them for your service needs! We called Leon's a couple of weeks ago because we were thinking of getting a used Prius. Eric Martin got right to work, and for the next several days he sent us several options via email, all within the price range we had set with him. Finally he found the one—and he had it ready for us within two days. It's exactly the car we wanted, and his great attention and service made it so easy. Leon's is now under new ownership, and if anything, the service has improved and the wait time has shrunk. We keep going back, and we keep being satisfied. American Express, Cash & Check & GE Capital.